For brides, coming up with wedding favors can be the fun part of the wedding planning — I have seen brides get totally creative with little gifts that will truly make their guests smile! 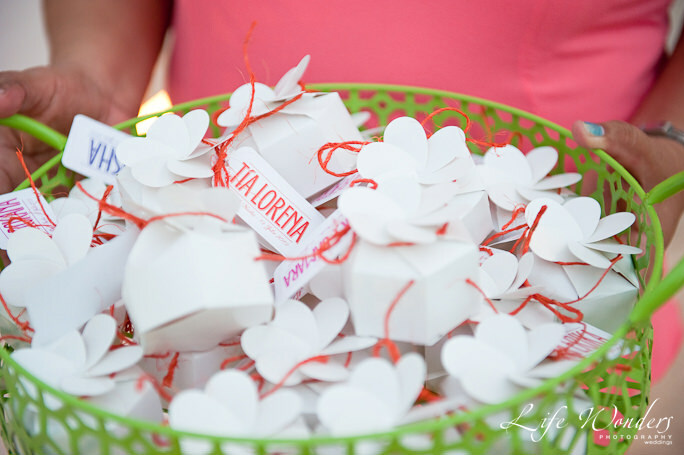 When you are having a destination wedding in Mexico, it is a great idea to have your beach wedding favors include a Mexican theme. This allows your guests to have a reminder of their amazing time in Mexico. Below are some ideas for wedding favors you may want to use. 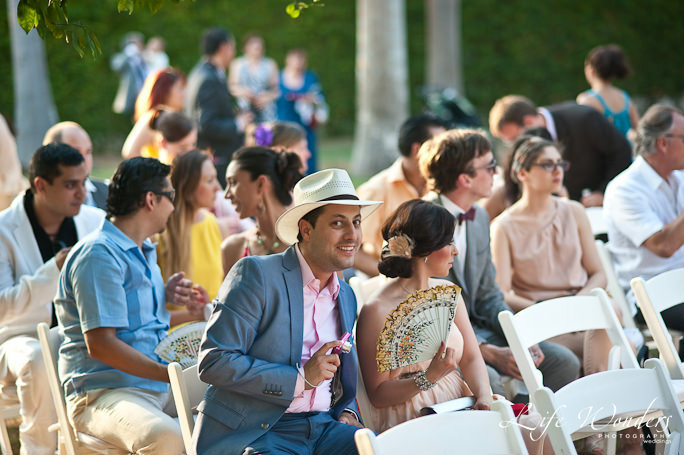 Help guests keep themselves cool with beautiful hand-held fans in bright, patterned paper or intricate Mexican lace. Guests can reuse the fans as decorations for the home — pretty patterned fans look great hung among other art prints on a gallery wall. Since you are hosting a destination wedding, a monogrammed luggage tag in bright Mexico-inspired colors, or the color scheme of your wedding, is the perfect send-off gift. Customize the tags with the date of your wedding and a themed symbol (like a palm tree), or your guests’ names. Your guests are probably using your destination wedding as an excuse to vacation in Mexico for a few days. 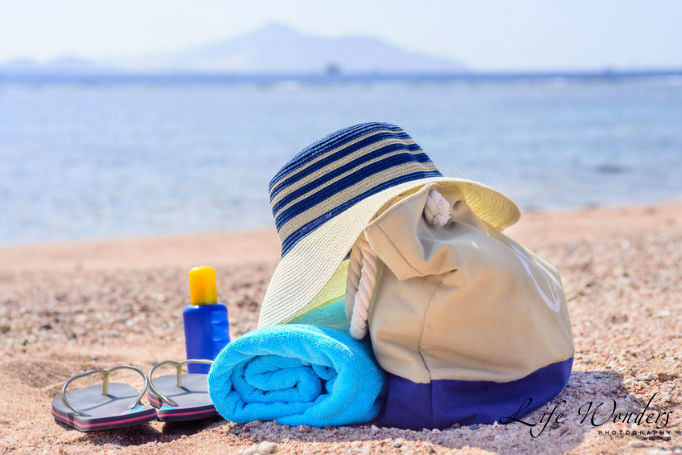 Make up kits that include sunscreen, cheap sunglasses, and a map of the area’s best beaches to help your guests enjoy their beach getaway to the fullest. What is the one thing guests are likely to forget when packing? Flip flops! Gift your guests this beach necessity in a bright color. 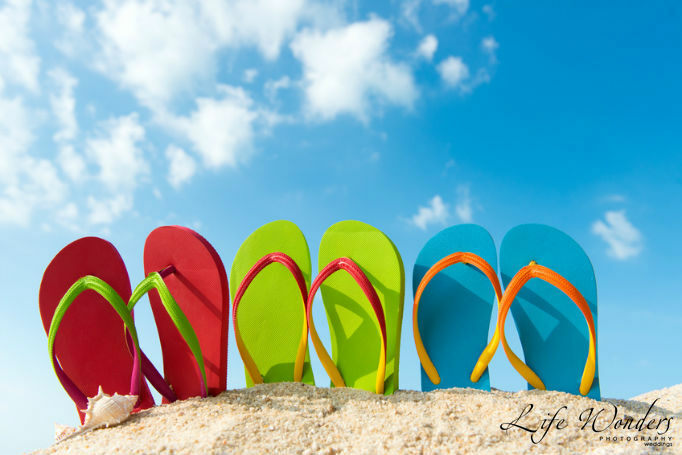 Plus, flip flops slip easily into the outside pouch on most luggage, making them an especially easy-to-pack wedding favor. Mexico is known for its gorgeous hand-painted tiles. Purchase some locally and tie them up in groupings of four using pretty ribbon or rustic twine. The tiles make perfect coasters for your guests to use back home. Mexico’s sunshine can get pretty intense. Have baskets full of paper or pretty lace umbrellas for guests to use during the ceremony so they can shade themselves from the sun, and let them know the umbrella is theirs to keep. 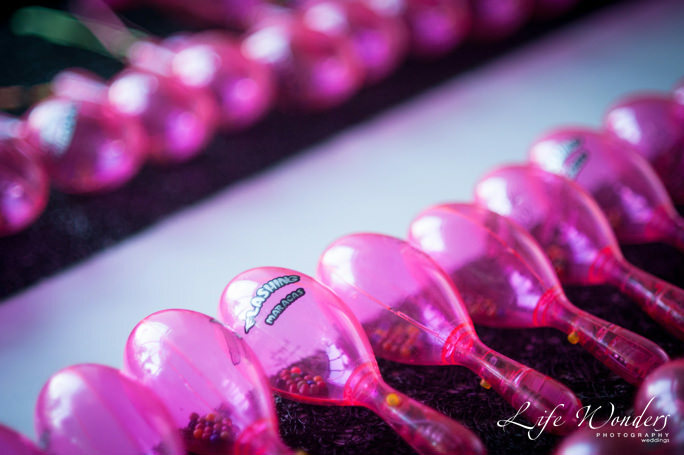 Maracas, the original Mexican noisemakers, make the perfect wedding favor. Instead of handing out standard noisemakers, make some noise the Mexican way with classic maracas. Your guests will have fun shaking out beats all night long on the dance floor. For the guys, have dapper woven straw hats (these will also help keep them cool if your ceremony or reception is outside). For the girls, hand out crepe paper flower crowns so they can channel iconic Mexican artist and style muse Frida Kahlo. Crepe paper looks good even when it’s a little wrinkly, so your guests will be able to pack their flower crowns to take home without a worry. 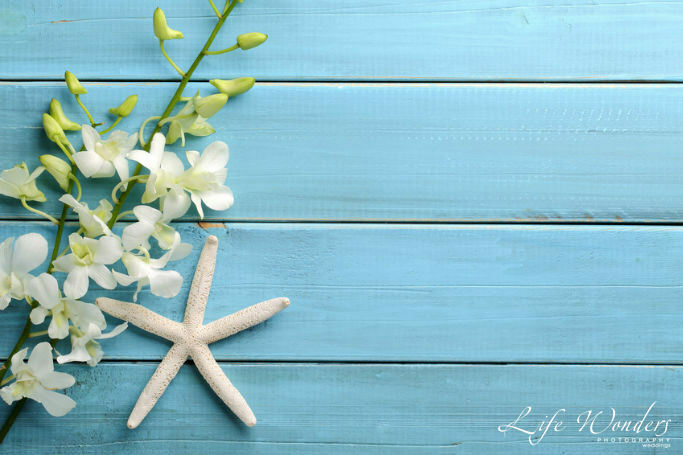 Decorate your reception tables with lovely sea stars, or other impressive shells, and tie a ribbon and tag to each one that says “Take me.” Your guests can use this beach wedding favor to add a little bit of a beach-y flavor to their décor at home — and they’ll remember your wonderful wedding each time they glance at it. Hand stamp paper bags with a Mexican motif or your wedding date, then fill the bags with classic Mexican goodies like powder sugar-covered Mexican wedding cookies. Now your guests have some yummy snacks for the plane ride home — if they even last that long! 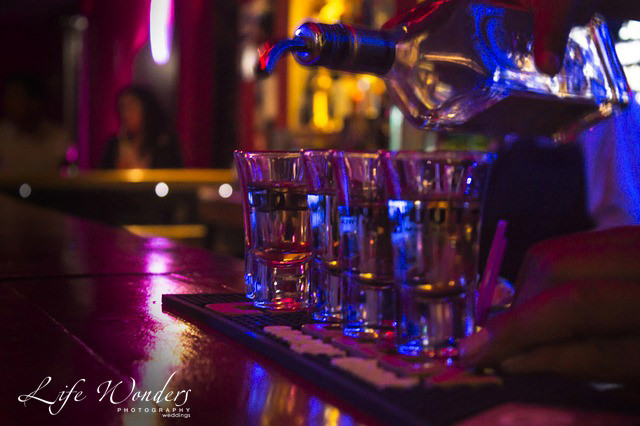 Give your guests a true taste of Mexico with mini-bottles of local tequila or mezcal. If you know your guests love to party, send them home with monogrammed shot glasses. Chances are they’ll be using them at the hotel bar later that night. Picking out wedding favors is just one part of the planning process. Ready to move on to the others – like capturing great photographs of the two of you, your family and friends? Get in touch with me! I’d love to learn more about your wedding vision, and how I can capture it all for you. Also, read my bridal tips so you have a fabulous wedding. 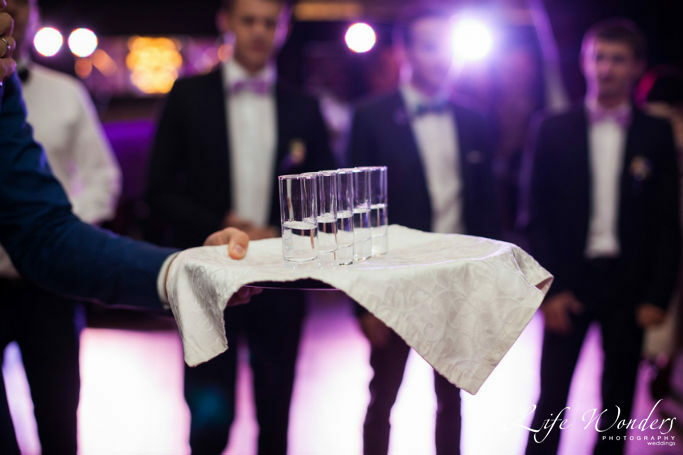 I give you tips that are like secret gems – they are little things that make a huge difference and are highly valuable in creating an unforgettable wedding, with amazing photographs! Here’s a nice summary of the article as an infographic. Save it on your Pinterest board so you can refer back to it. Also, send it to you friends and family so they can stay cool and enjoy their time at your wedding. When you are ready to discuss your wedding photography, contact me and tell me what you envision for your wedding day and I’ll be happy to create the day’s photo timeline for you.